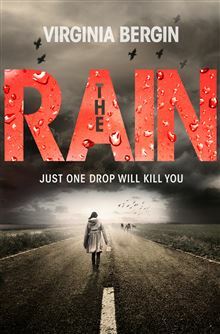 Three months after the killer rain first fell, Ruby is beginning to realise her father might be dead . . . and that she cannot survive alone. When a chance encounter lands her back in the army camp, Ruby thinks she is safe – at a price. Being forced to live with Darius Spratt is bad enough, but if Ruby wants to stay she must keep her eyes – and her mouth – shut. It’s not going to happen. When she realizes what is going on – the army is trying to find a cure by experimenting on human subjects – Ruby flips out . . . and makes an even more shocking discovery: she’s not useless at all. The Storm begins . . . 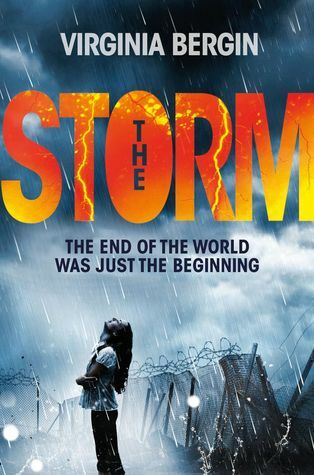 Categories: Dystopia, England, Lancashire, Thriller | Tags: Virginia Bergin | Permalink. That was two weeks ago, and now Ruby is totally alone. People weren’t prepared for the rain, got caught out in it, didn’t realize that you couldn’t drink water from the taps either. Even a drip of rain would infect your blood, and eat you from the inside out. Ruby knows she has to get to London to find her dad, but she just doesn’t know where to start . . . After rescuing all the neighbourhood dogs, Ruby sets off on a journey that will take her the length of the country – surviving in the only way she knows how. Categories: Dystopia, England, Romance, Social/Family | Tags: Virginia Bergin | Permalink.